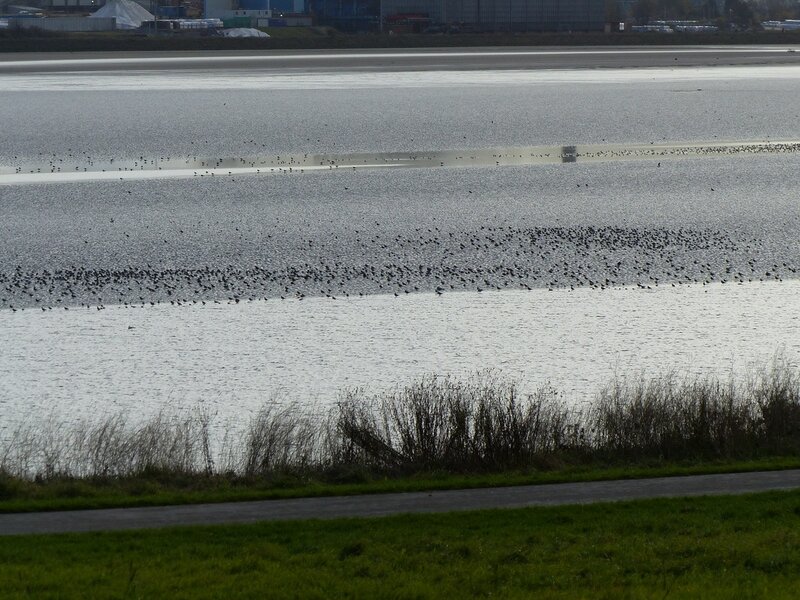 The Mersey December WeBS counts produced good numbers of waders but ducks were unseasonably low. We broke records with yellow-legged, common and herring gulls. 19 whooper swans was the highest this winter while 3,700 Canada geese was almost exactly the same as November. 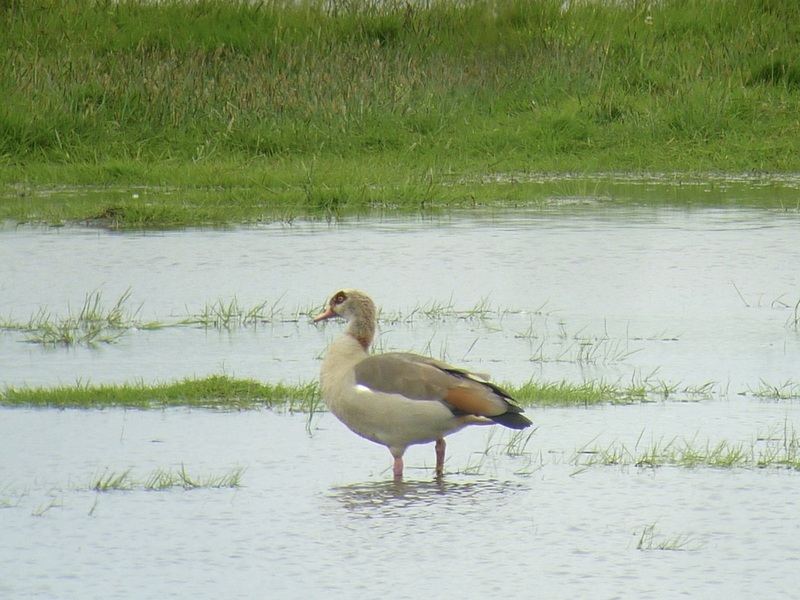 Nearly 1,000 shelduck was a big improvement on last month’s 367. 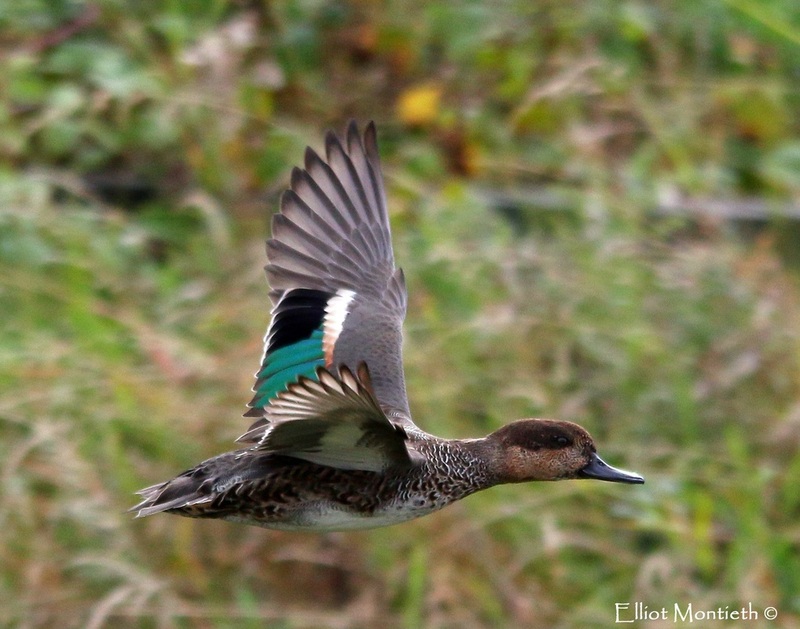 1,123 wigeons was just below our average, while only 1,400 teals was down on last month and well short of the 5,000 we usually get in December. 93 pintail was above average. 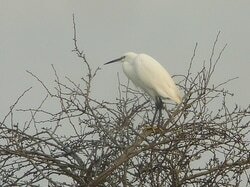 38 little egrets was a good count but down on last month’s record of 55. 2 great white egrets was nice after a blank month in November. 216 coot was the highest so far in 16-17 and not far off our record of 231. 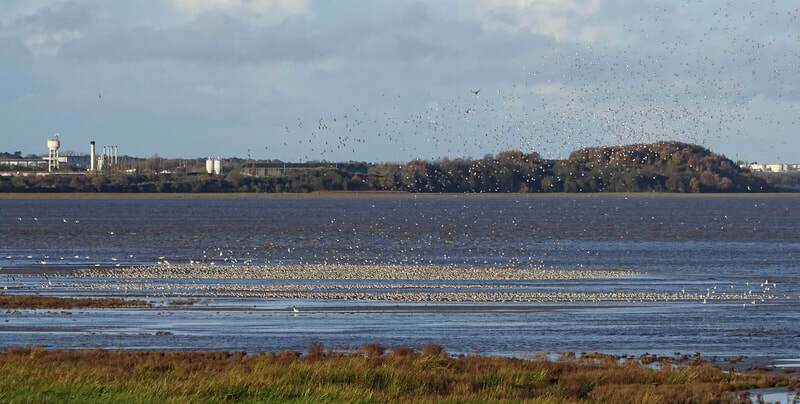 1,600 golden plover was higher than average and nearly 5,000 lapwing was good with over 1,600 of these were in the Upper Estuary and a further 1,600 at Fiddler’s Ferry. While dunlins were down from last month’s mind blowing 68,000 record there were still 42,000 which is spectacular but just below average. 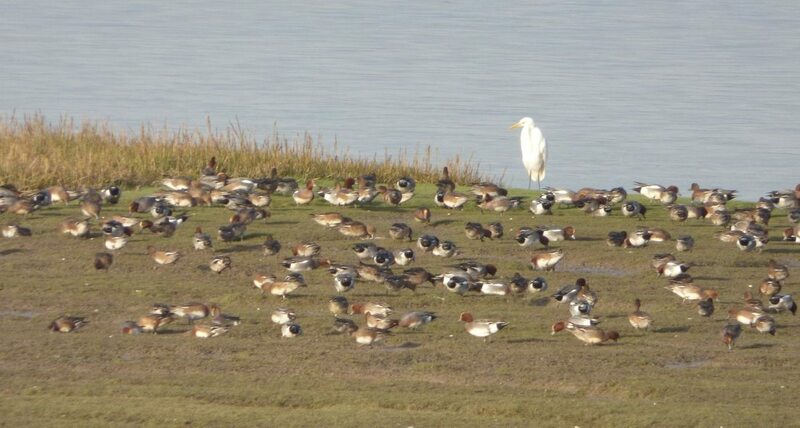 However, unusually 15,000 of these were at Hale on the sandbanks at No Man’s Land. 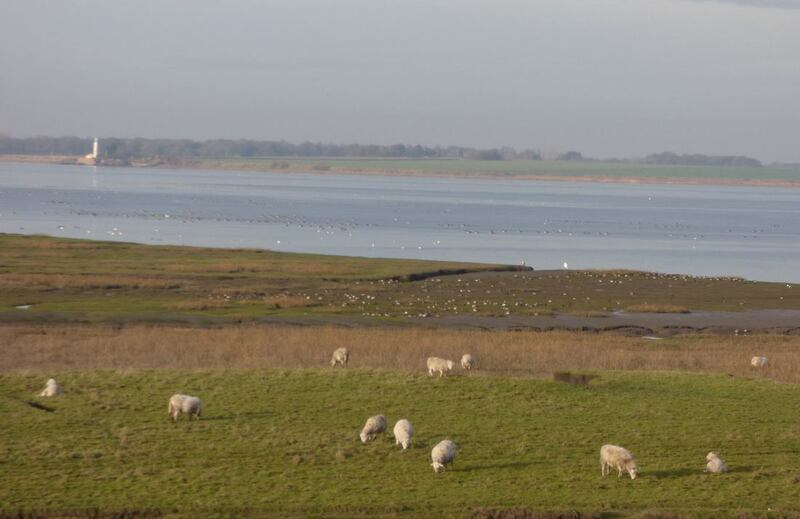 ​Among the gulls we had records of herring and common gull with 1,400 and 201 respectively. 2 yellow-legged gulls was also a new record. 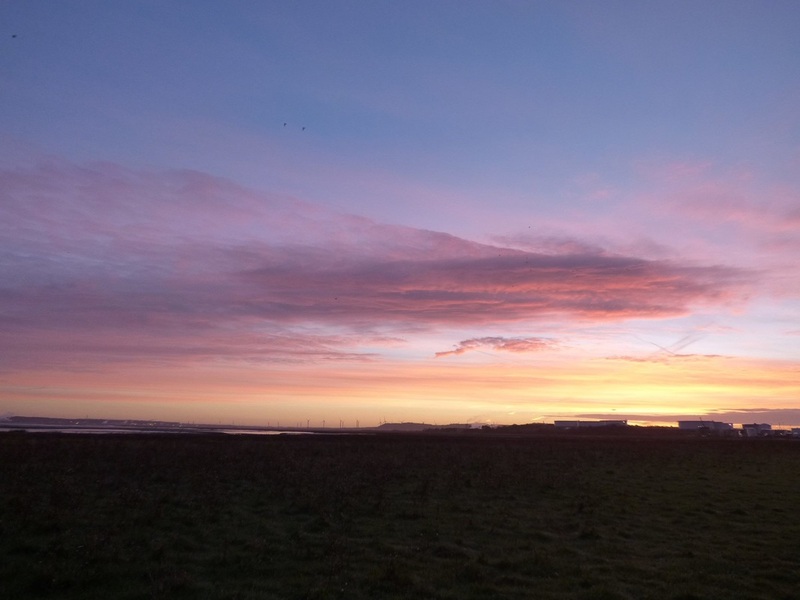 We had 6 raptor species plus 2 short–eared owls with one at Stanlow and one at Oglet which is unusual for the Mersey. 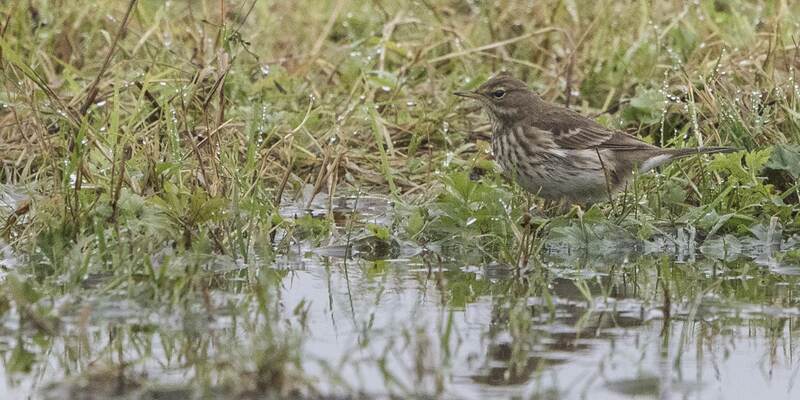 In the passerines 2 rock pipits and a water pipit were notable. I can’t believe how many records we are breaking these days. I know we have increased the count area to include the whole estuary and have more counters than ever; however we have just broken a record set last winter I thought we would never break and it is not to do with better coverage! 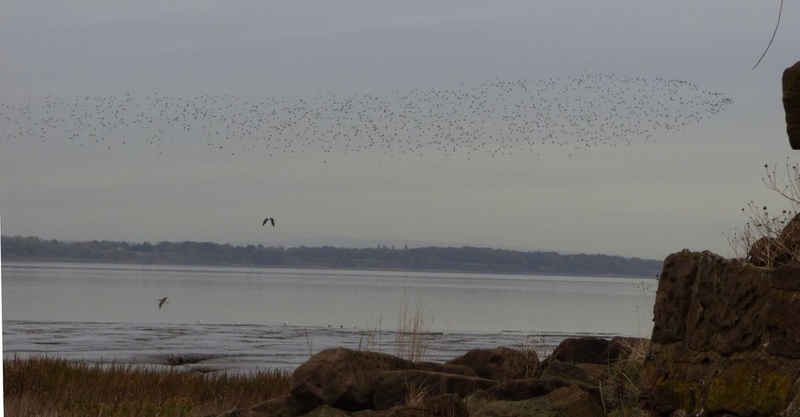 The Mersey Estuary is the best place in Britain for dunlins. We have a five year average of almost 50,000 and I was very surprised to beat our record for dunlins last winter. 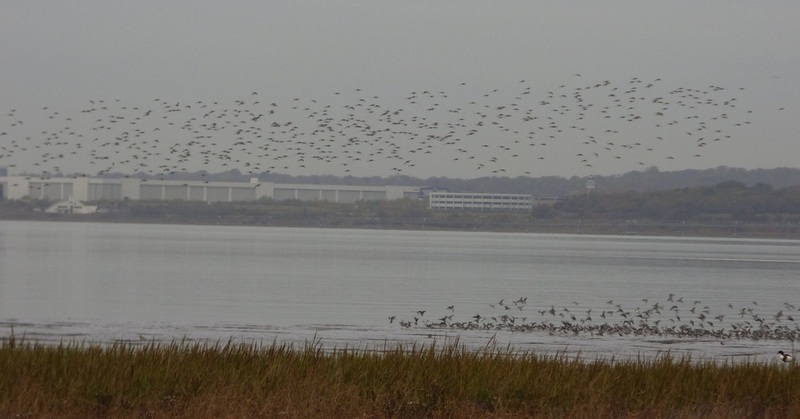 However, this month we have had more dunlins than last winter with a whopping 68,577. That is 200 more than our previous record. OK the difference of 200 is well within the margin for error but we certainly had another enormous flock. Golden, grey and green plovers were the highest of the winter so far but not as high as they will get later in the winter. 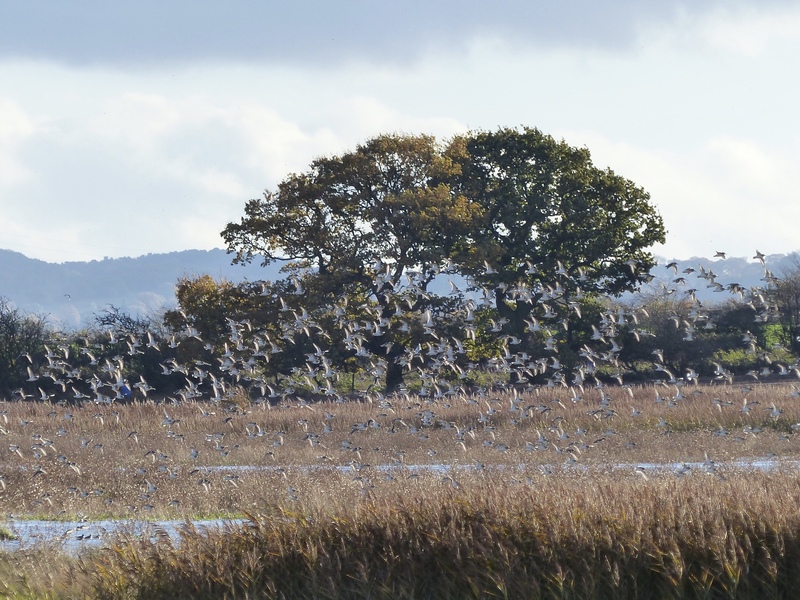 Curlew, black tailed godwit and redshank have all peaked in the autumn and November’s counts were lower than October. Apart from the GBB gull count the only gull of interest was a Mediterranean gull. 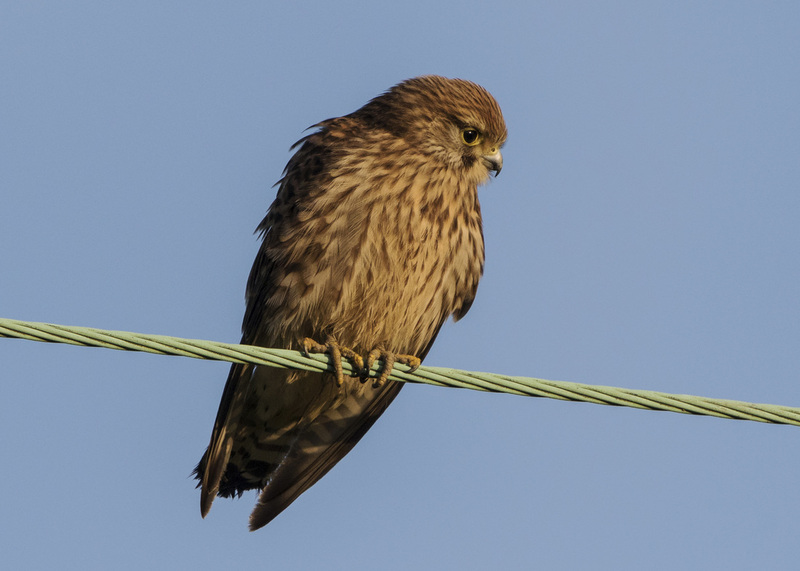 6 raptor species included a marsh harrier, 5 peregrines and 3 merlins. Amongst the passerines there was a cetti’s warbler at Carr Lane Pools along with a remarkable count of 3 water pipits with another at Oglet and a rock pipit at Ince. The December count should show a further build up of ducks like wigeon and teal and wintering waders like grey and golden plover. Will the huge numbers of dunlin still be around? 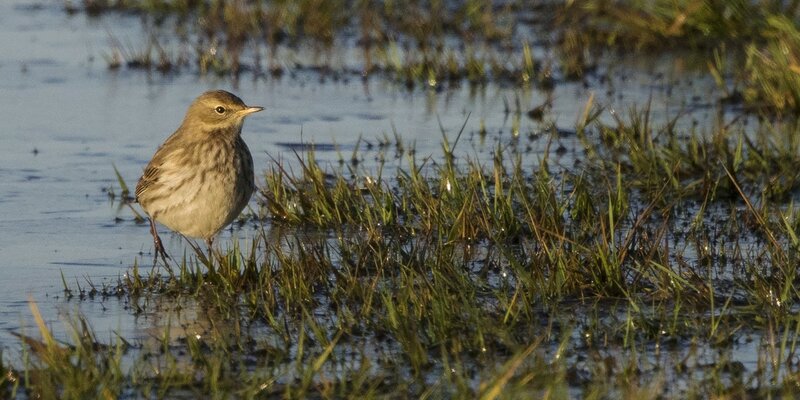 Water pipit. © Mike Roberts. October’s count was another record breaker. We had a record number of shovelers with 317 beating the record set in March this year of 282. They seem to like the sea aster that is growing well at Frodsham. 180 is the national importance threshold so we are becoming nationally important for shoveler. We also had a record 42 little egrets beating previous record of 40. 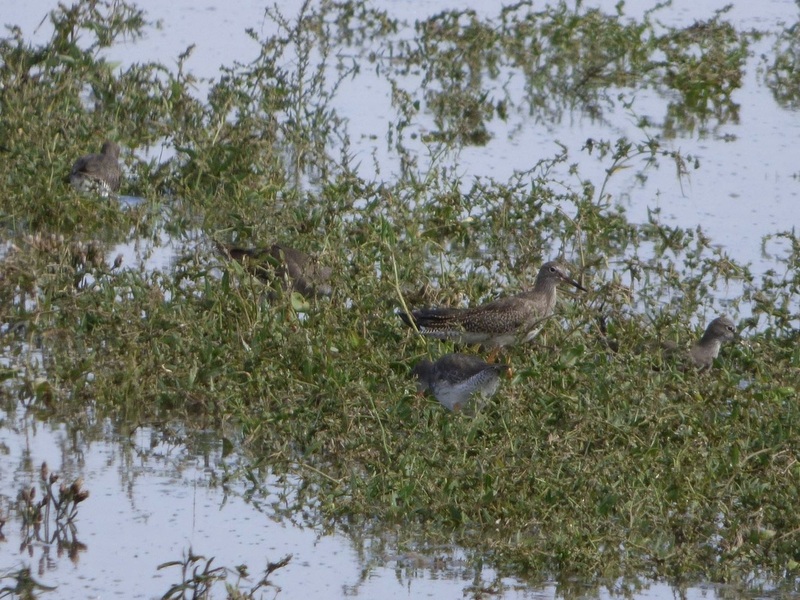 Four water rails was a record number. We also had a new WeBS species: Ian found a glaucous gull at Ince. We also had some new counters with John Elcock joining Lee at Hale and Jack Childs and Amy Weir joining Dan and Mike B at Oglet. Jack was treated to a ring ouzel which is also probably a first for Mersey WeBS counts. Swans were notable by the low number of mutes, just seven, when last month we had 26. We also had two black swans at Ince. 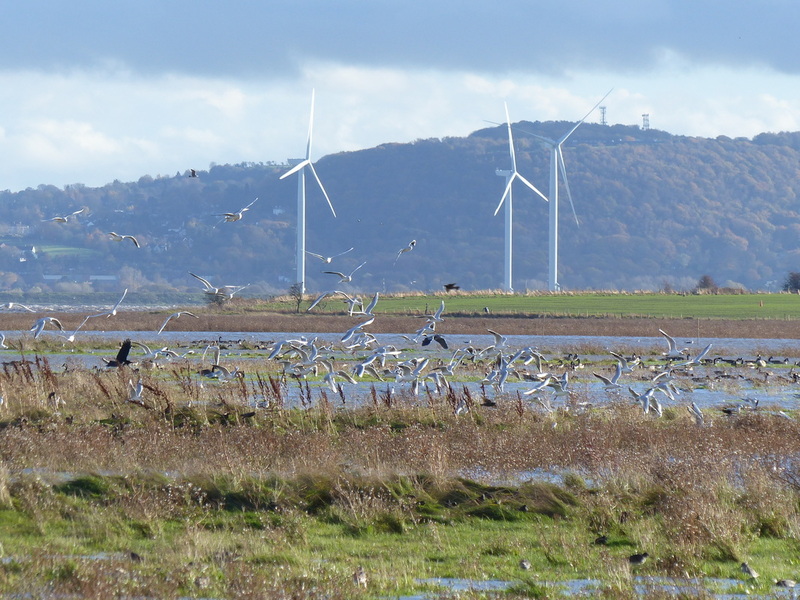 100 pink-footed geese seen at Oglet was good. I don’t know why we don’t get more given the numbers of the Dee. Canada geese were about 2,500. Shelduck continue to fall after the highs of the late summer moulting flock, now down to under 700, which is still nationally important. 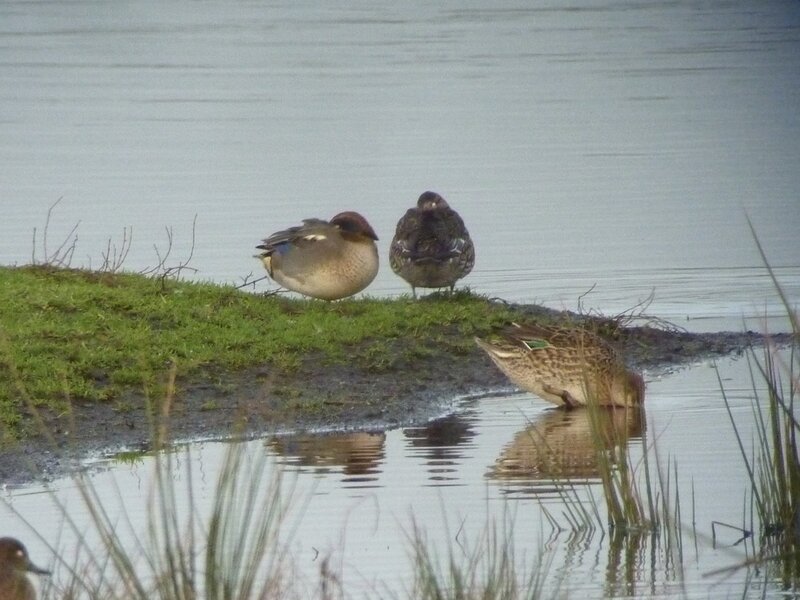 Wigeon are building up with over 750 and 1,500 teal is an increase on last month. Frodsham seems the best place for pintail with 21 of the total of 23. The record number of little egrets were joined by four great-white egrets, including a “flock” of three I saw flying with 5 little egrets and 2 herons. 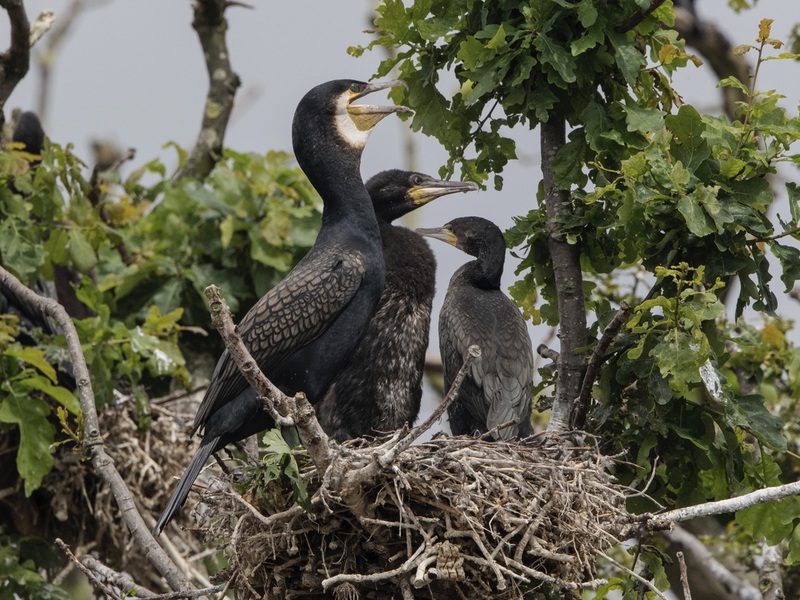 Although cormorants have fallen to 172 that is still well above the annual maximums we have had up until recently. 79 herons was our highest count this WeBS year. Among the waders over 600 oystercatchers is what we expect these days but would have been a record in any year up to 2012. My personal favourite was the 30 avocets I saw at Ince near the Weaver sluices. 5,000 dunlin is nationally important but is hopefully only 10% of what we might get later in the winter. 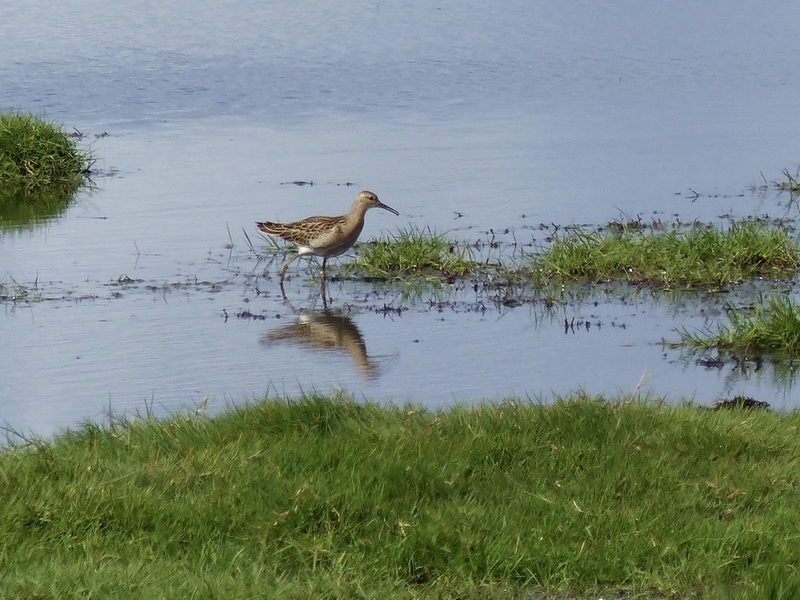 October is usually the peak month for curlews, but this year July and August with 1,400 and 1,500 exceeded October’s 1,000. 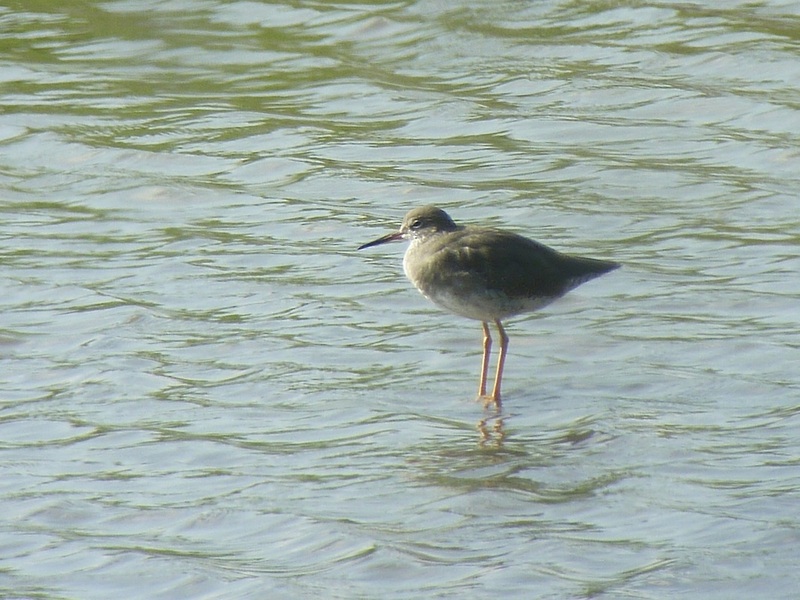 Five greenshanks were notable with four of them being at Runcorn Sands. A purple sandpiper at New Ferry was a first for that site. 3,300 redshank was our highest count so far this winter and is internationally important. 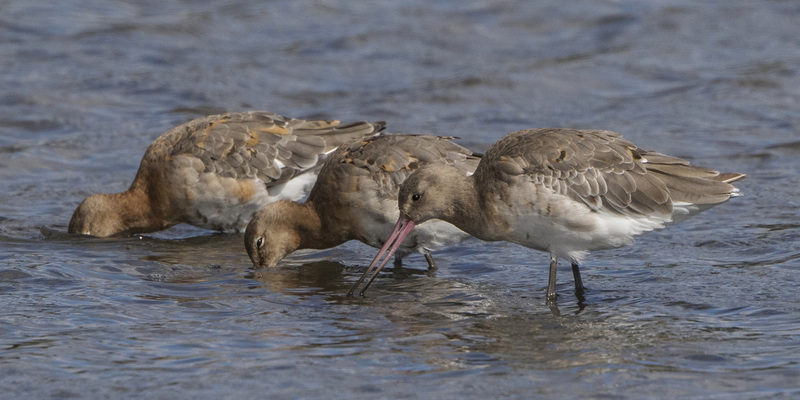 680 black-tailed godwits is also internationally important but down on last month’s 1,300 as the birds move on down to Portugal. There was a good variety of gulls. As well as the glaucous there were three Mediterranean gulls and I had my first yellow-legged gull on a WeBS count. 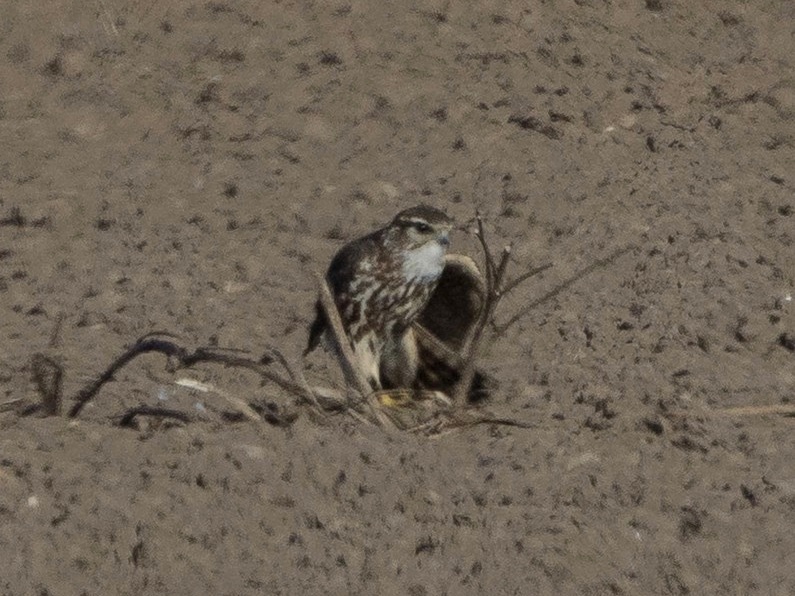 Raptors included three merlins and a short eared owl. Passerines were interesting with at least one yellow-browed warbler found by Shaun and Robbie at Manisty and a ring ouzel at Oglet. 119 pied wagtails, mostly at Frodsham was also notable. September was another great count. 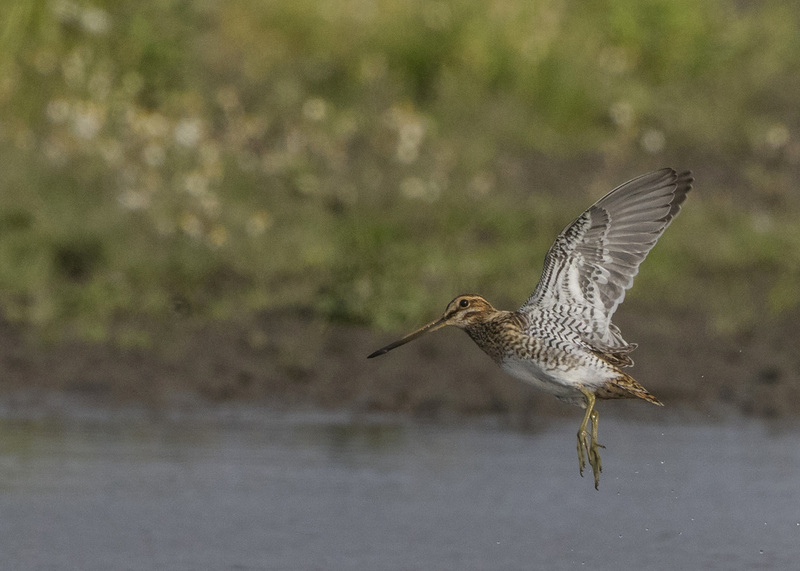 We had three record breakers, good numbers of redshank, ruff and black-tailed godwits and seven raptor species. The record breakers were five great-white egrets: the previous record was four. 63 moorhens broke the previous high of 35 and 51 little grebes were almost double the previous record, most of those being on Frodsham Lagoons and the Weaver Estuary. We had 19 counters. 2,400 Canada geese were almost half last month’s count, which in turn was half the previous month’s count, showing that the Canada Geese arrive in June to moult and then disperse. However, they still leave a flock the equal of any of flock in the country. 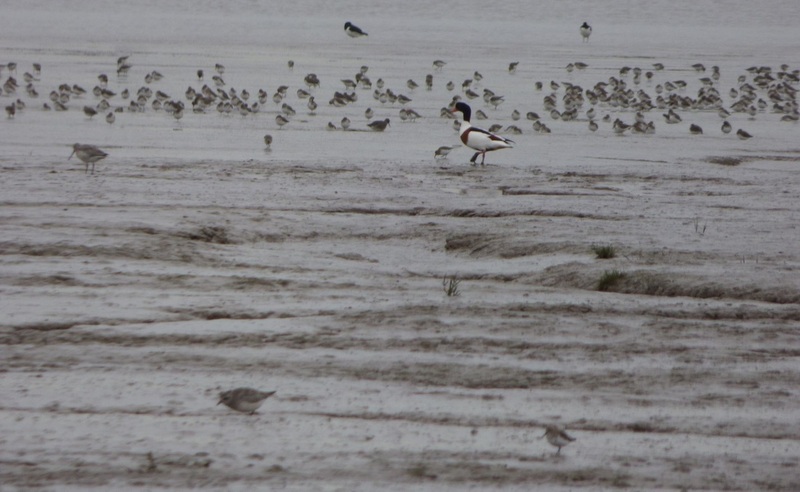 Shelduck were also down to 1,000 which is about 10% of the July moulting flock. Duck numbers were higher than August, but nothing spectacular yet. 285 cormorants means this species continues to be seen in very good numbers this year. 32 little egrets was a good number. 20 ruff means the last couple of years have seen them back in numbers last recorded in the early 1970s. 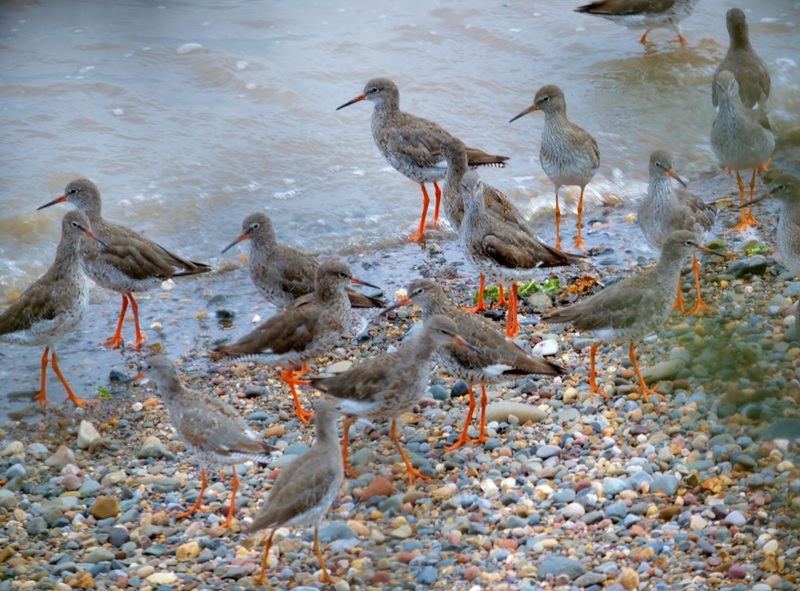 Over 3,000 redshank is our first internationally important count for this species this winter. Roosting redshank on Manisty Wharf. 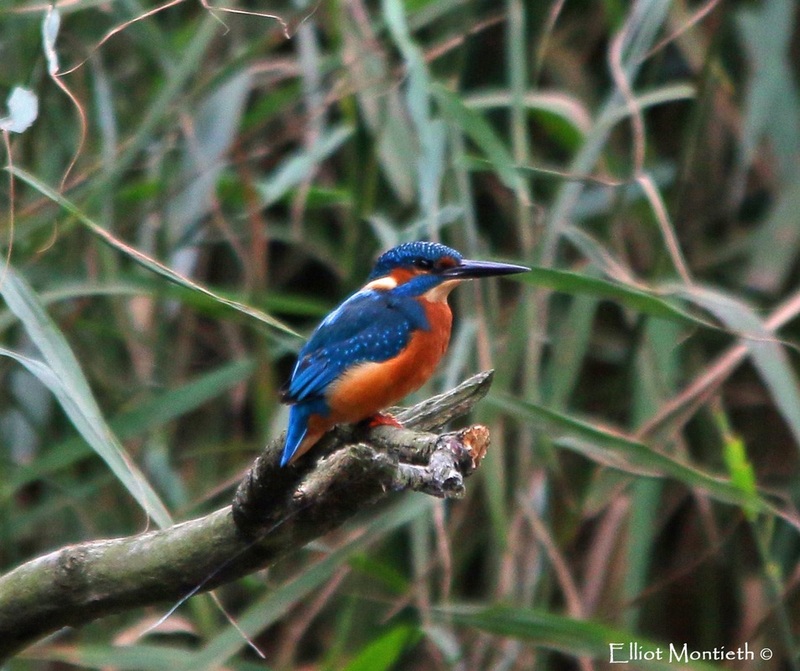 5 kingfishers equalled our record. 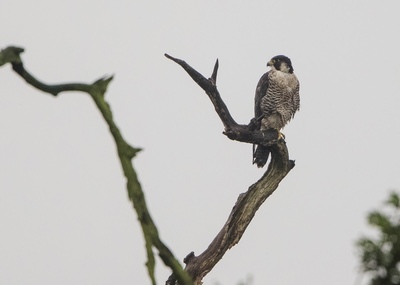 The raptors included a full set of British falcons with both hobby and merlin present in addition to the ever present peregrine and kestrel. 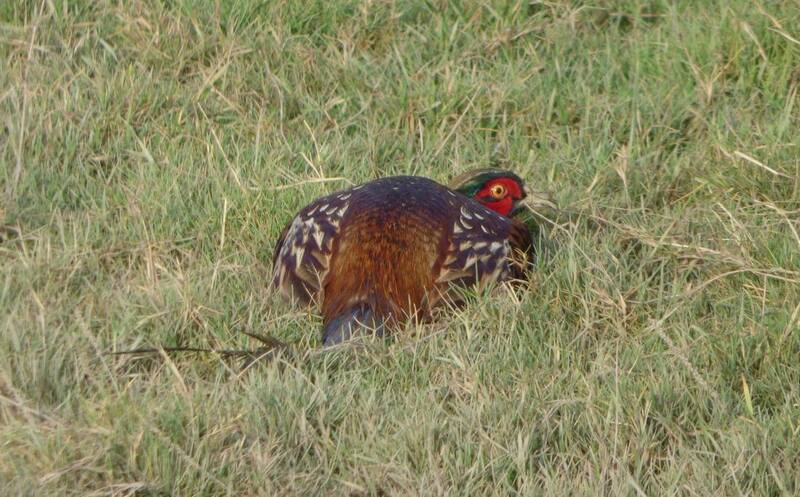 the other species were marsh harrier, buzzard and sparrowhawk, which took a goldfinch while i was counting them! I have also added some casual counts to the BTO WeBS database. In July Bill had 63 avocets at Frodsham which beats our previous record of 12. 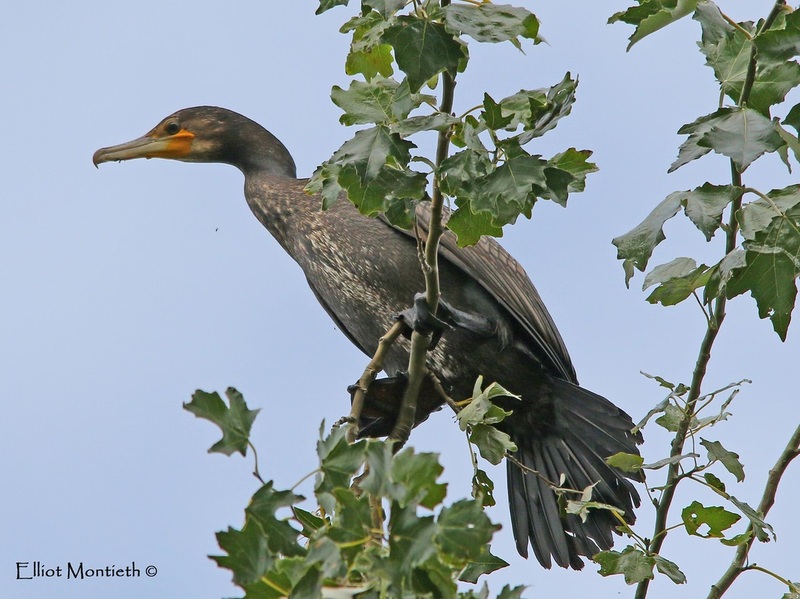 Rob counted 420 cormorants roosting at Hale Decoy in late August. This is our highest ever count and our first nationally important count. 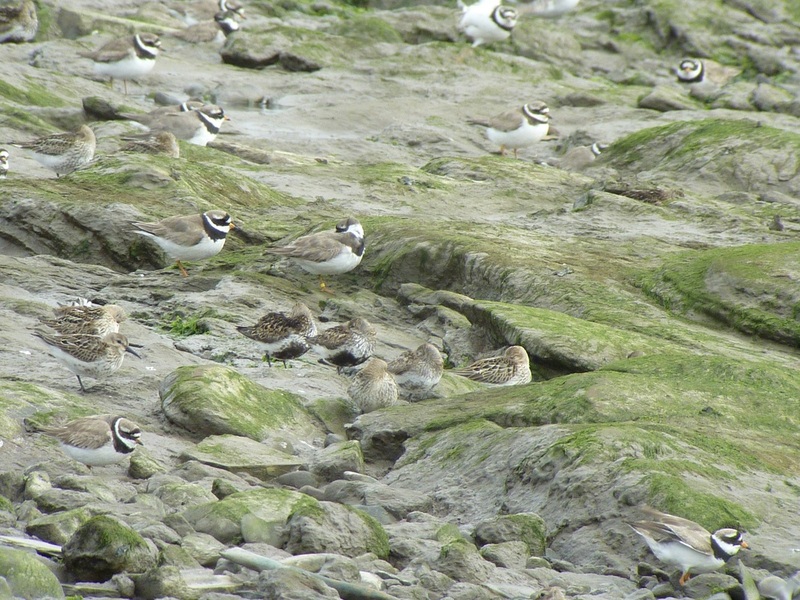 Rob also recorded some internationally important counts of ringed plover with 1,500 in early September. This month we had 7 new records. The highlight was 24 white morph snow geese, including one juvenile. Has someone lost a flock of 24 birds or did they arrive from America with that recent Atlantic storm? They seemed very jumpy and didn’t hang around. 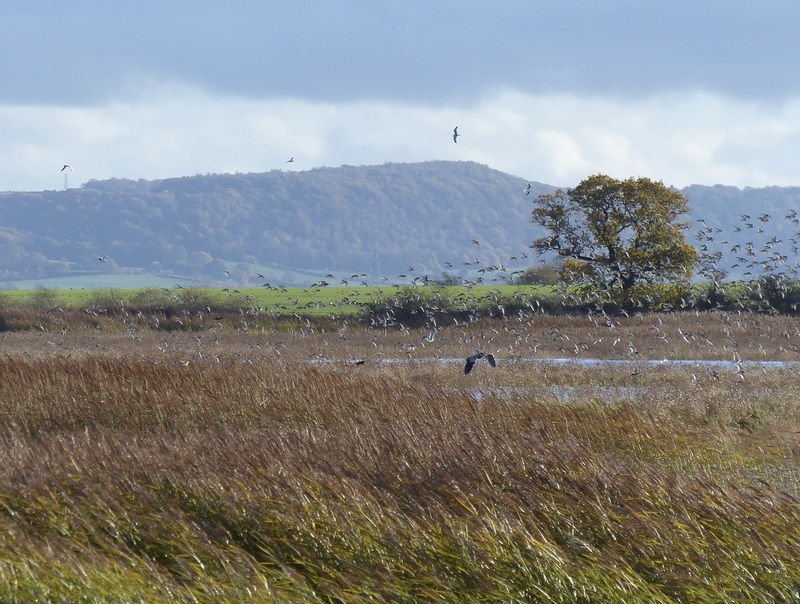 On Monday they flew over Lunt Meadows and landed on the Alt Estuary then on Tuesday they were at Marshside where they remained until Sunday. 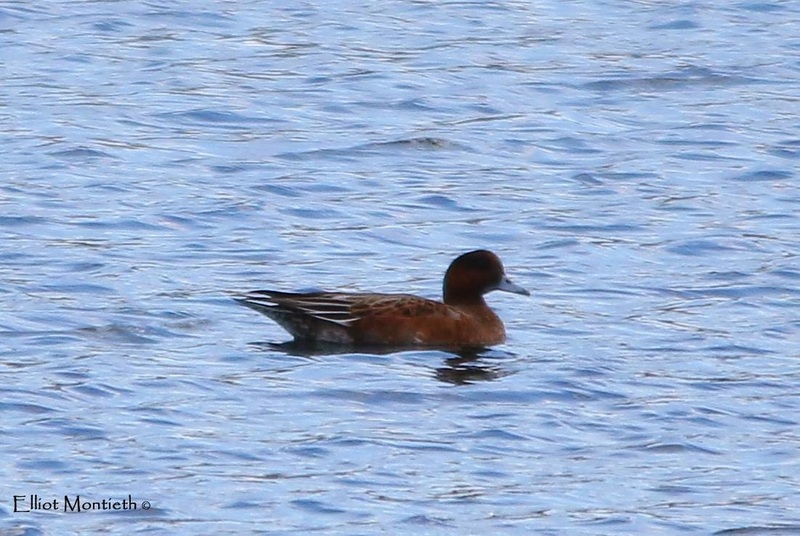 Other notable new records were 35 little grebe, 45 moorhen and 32 curlew sandpiper (our previous record was only 2). 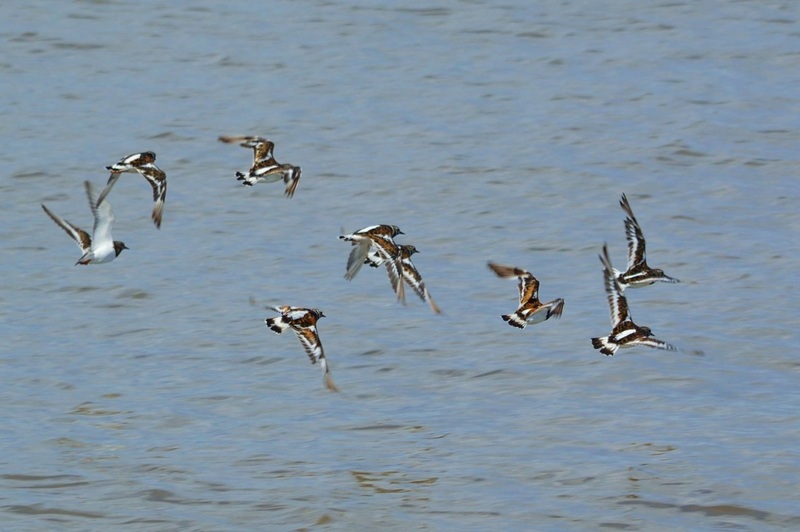 We also smashed the turnstone record with 264 beating the previous record of 115. This is not surprising as we are now including the Mersey Narrows within the core estuary count and that site had 200 birds. 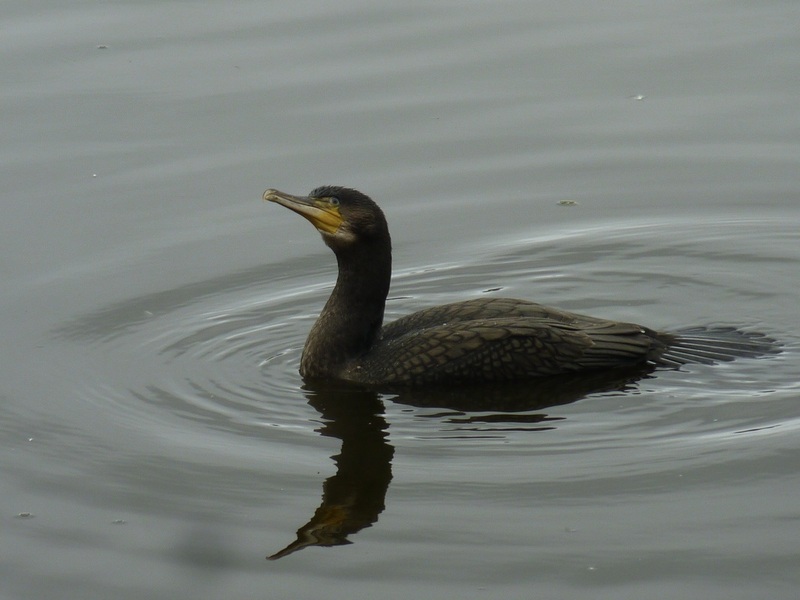 We also equalled our cormorant record of 309. 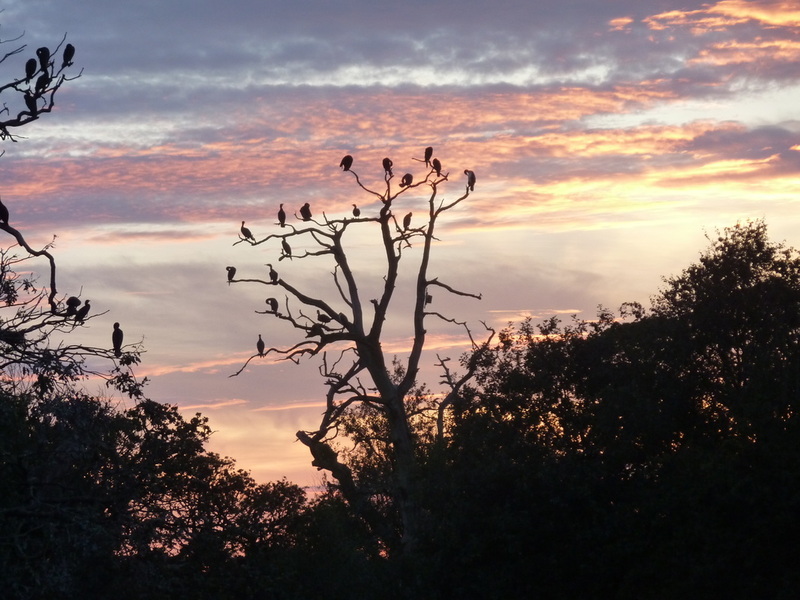 However, at Hale 380 birds were counted coming into roost at Hale a few nights before the count. 12 sandwich terns at Eastham was also a new record. Shelduck were present in good numbers as expected with over 6,000 but that was over 4,000 down on last month. 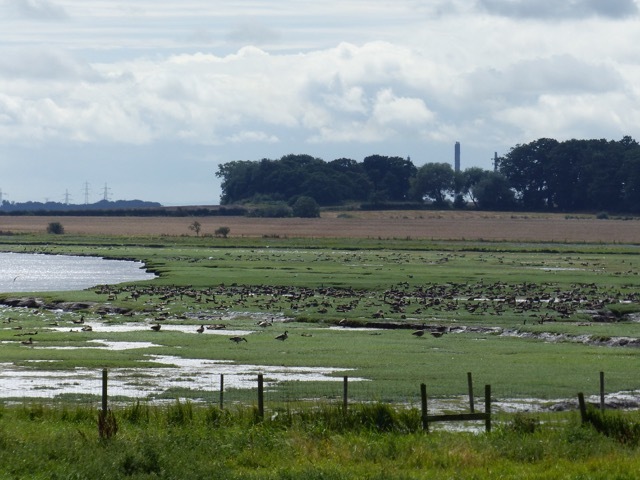 Far fewer Canada geese at Ince this month with only 1,200, but over 2,500 at Hale made for another large count. 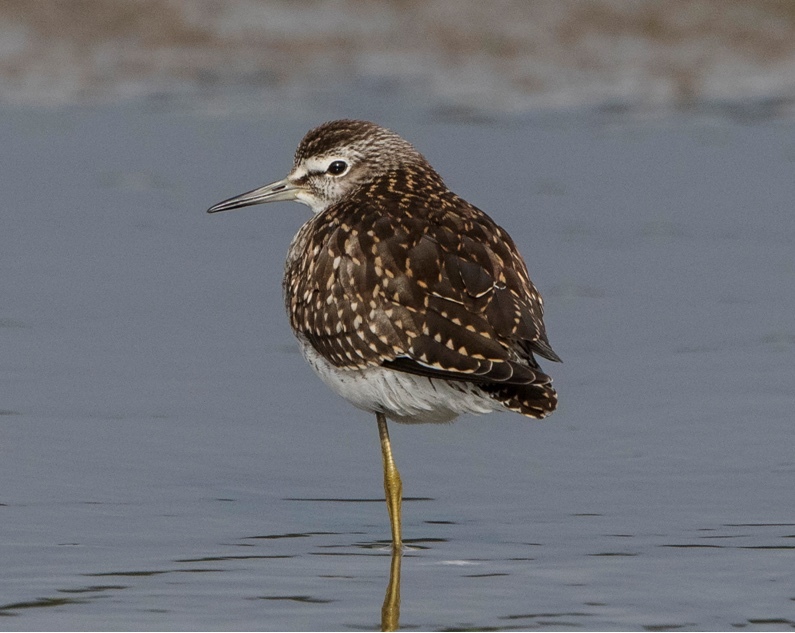 There was a wide variety of waders with 21 species. Ringed plover usually peak in August and 800 was a good count of international importance. A few days after the count Rob had 900 on the shore by the Hale Lighthouse. 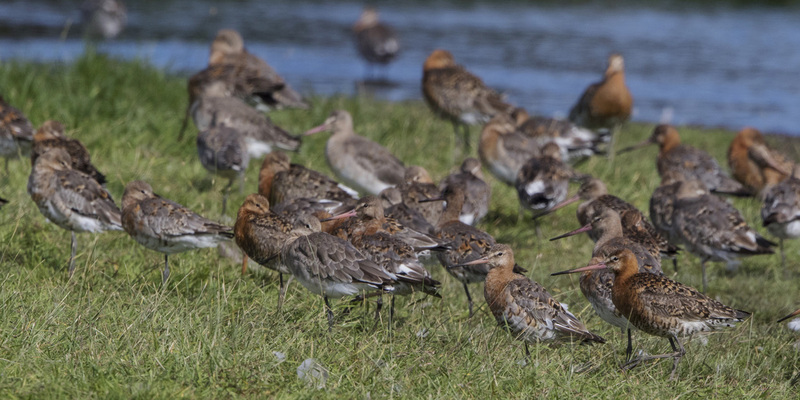 Also of international importance were the 1,000 black-tailed godwits. 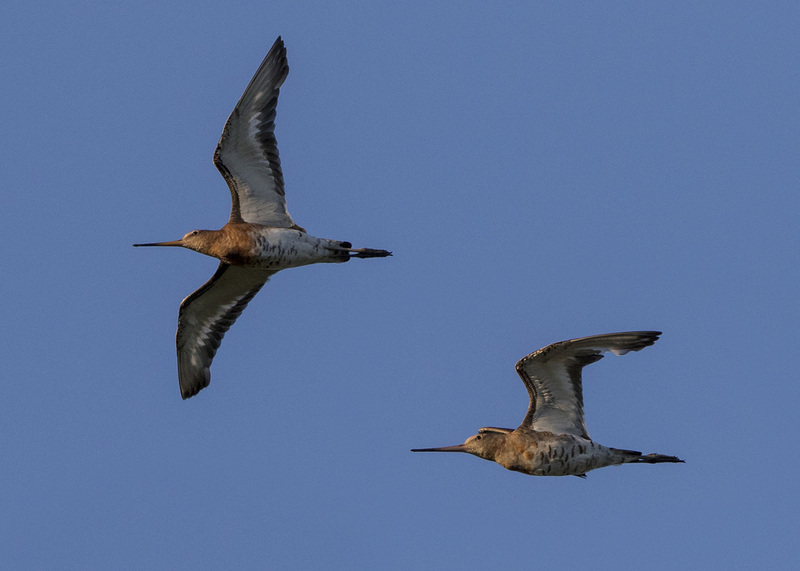 Both curlew and redshank were in good numbers with over 1,500 curlew, slightly up on last month and was nationally important and 2,383 redshank was just 17 short of international importance threshold. 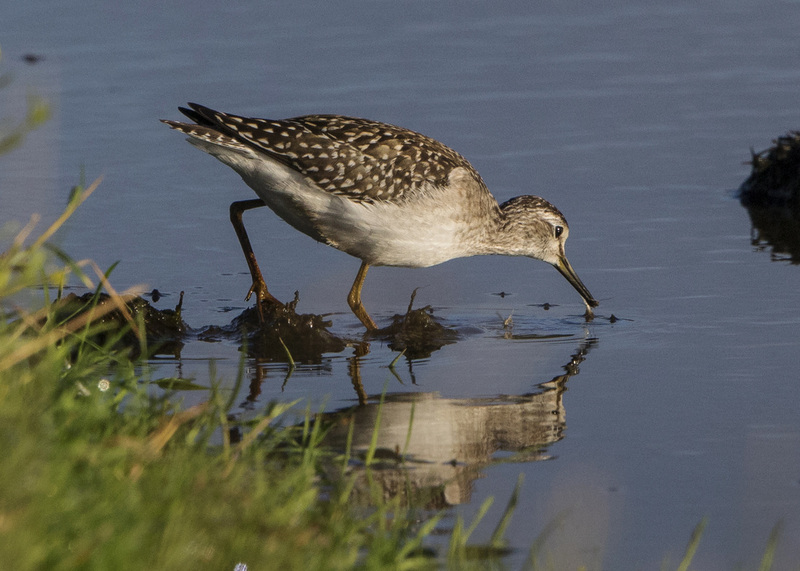 12 ruff is also nationally important and 2 wood sandpipers equals our previous record. Other non WeBS birds were quite a few marsh harriers, hard to know exactly how many individuals. 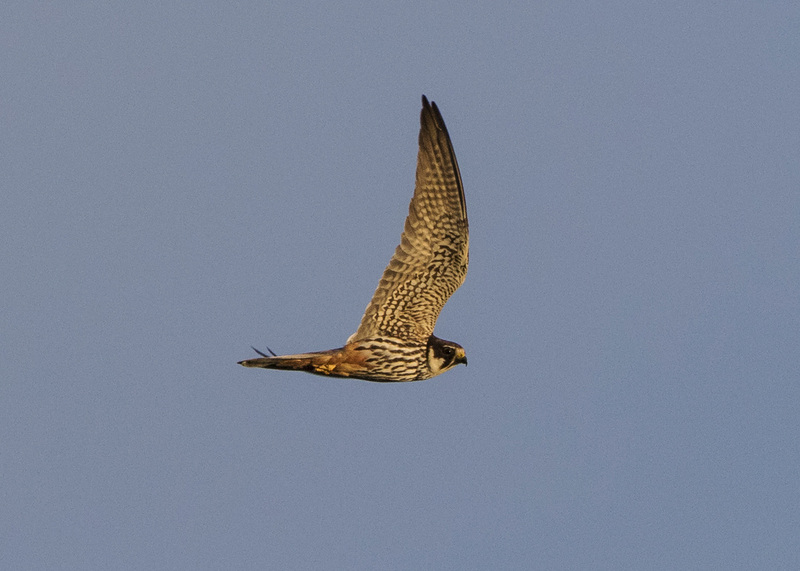 A hobby was also a good record at Eastham. The July count was another impressive one. 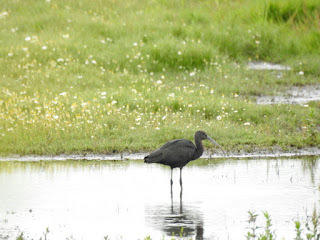 We had a new species for Mersey WeBS, Rob had a glossy ibis at Carr Lane Pools. We also broke two records, both non native geese, 9,200 Canada geese beat last July’s record of 8,994. We also had a record 22 domestic geese! 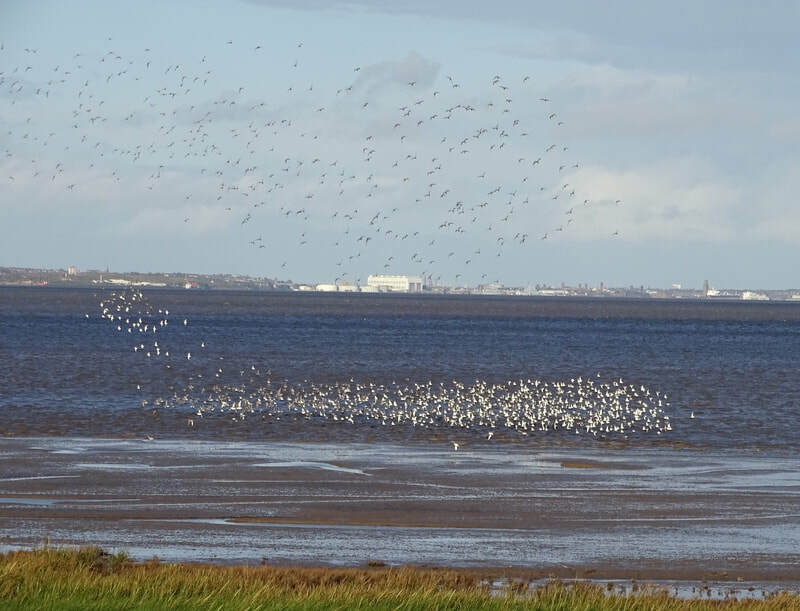 Of the birds the Mersey is important for we had an impressive 10,800 shelducks, three times higher than the international importance threshold. 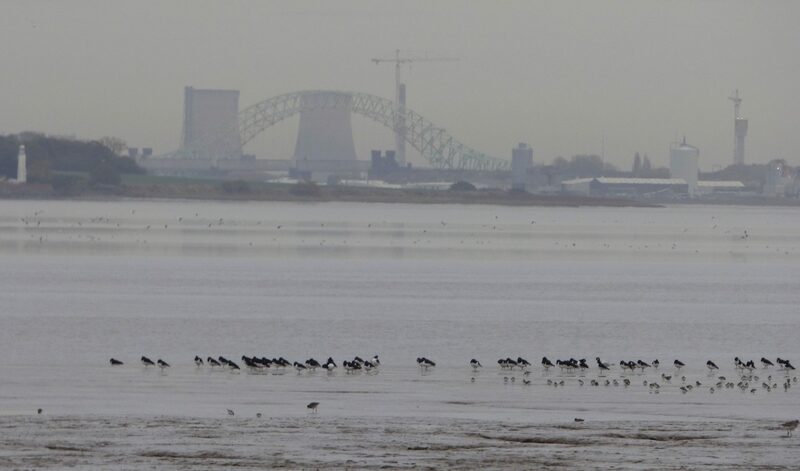 Andy counted over 7,000 floating upstream from Stanlow Point as the tide came in. 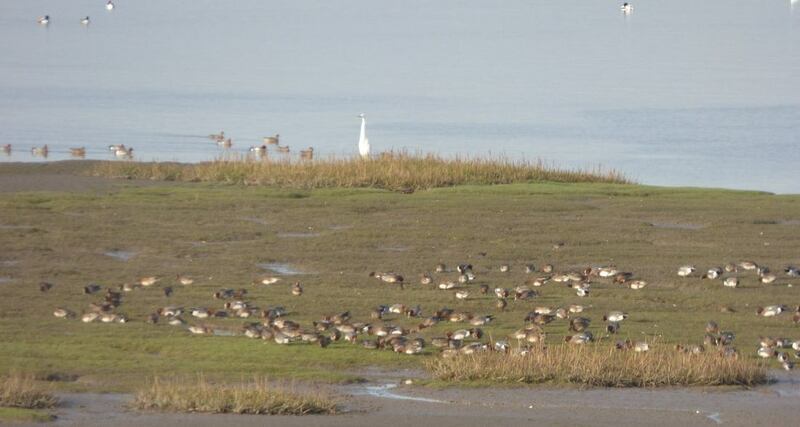 There were also about 3,000 at Manisty, but very low numbers in the rest of the estuary. On five year averages this count will probably push us up to the No1 location for shelduck in the UK. 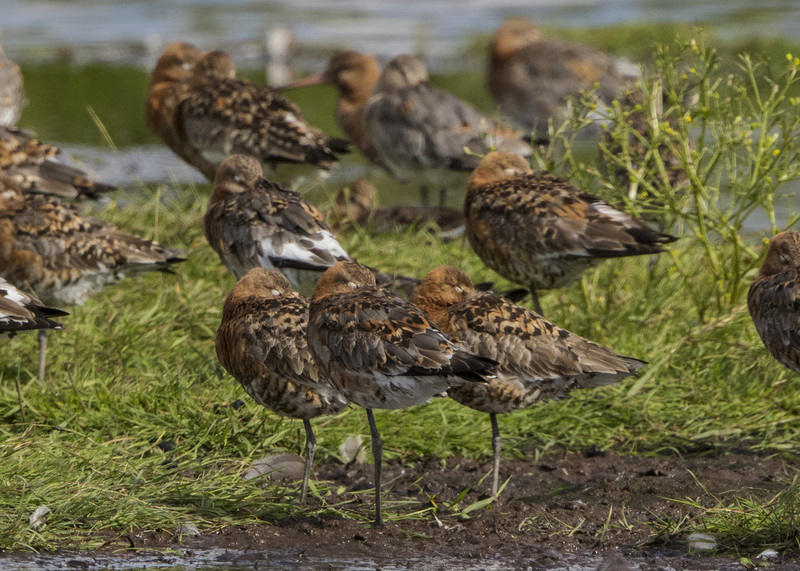 1,600 black-tailed godwits is internationally important and they were almost all at Hale. 1,470 curlew was nationally important. ​8 ruff was of national importance. 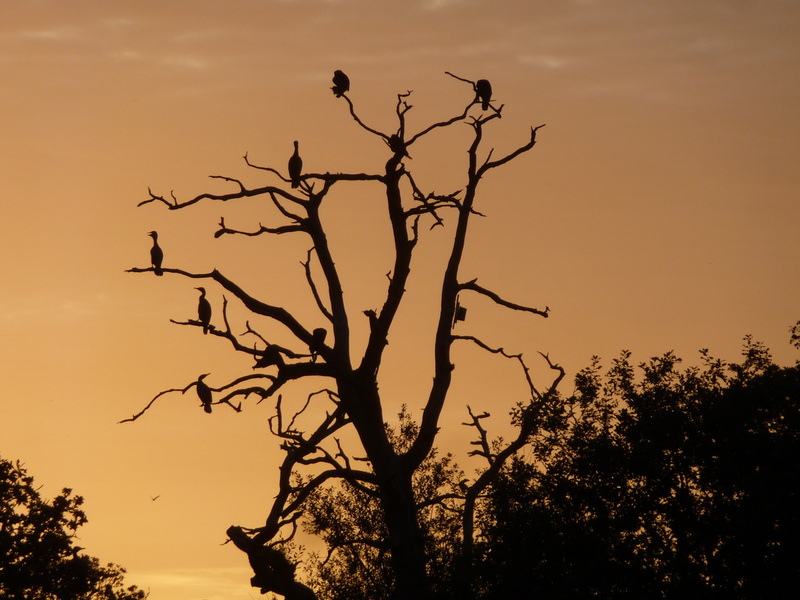 303 was our second highest ever count of cormorant, missing the record by just 6 birds. The Mersey Estuary count total just used to include the sites in the middle around Hale, Stanlow, Garston and New Ferry. However, the BTO have just added in all the intertidal areas into the Mersey Estuary WeBS count, so it reflects the whole of the estuary. We now have just one figure for the whole Mersey estuary for each species and have a total of 22 sites. Although some sites are well covered there are other sites who just a have a few people counting and some sites where we don’t have anyone regularly counting them. Therefore let me know if know anyone who would be interested in helping as we could do with people at Liverpool, Hale, and Birkenhead to ensure we get complete coverage. You don't need to be experienced counter, but you do need to be a reasonably competent and experienced birder.